Most authorities are grappling with addressing unsustainable transport trends that have intensified with the rapid and unprecedented growth, particularly urban areas. Kampala, the capital of Uganda is one of them. The city is faced with rapid motorization and irregular public. Sustainable development has so many definitions; some of which are rather unclear. But it has generally been related to development that meets the needs of the present without compromising the ability of future generations to meet their own needs. It has also been explained that the operationalization, implementation and measurement of that definition is highly contested and varies significantly. Sustainable development practices have been linked to social, economic and environmental needs and benefits. Regarding transport, sustainable modes of transport ought to be socially, economically and environmentally viable. Bicycle transport has been identified and appreciated internationally as sustainable mode of transport. In Kampala, the capital of Uganda, the number of NMT daily trips in the city is estimated to be over 50%, and yet there are limited NMT provisions and no designated facilities yet. There have been several initiatives to improve the provision of NMT facilities, including cycling lanes, through policy formulation, on-going transport-related projects as well as cycling promoting activities. There is also no proposed cycling network yet. A practical/operational pilot has not been attempted yet to give a clear indication on how cycling is a great alternative of movement from one place to another. 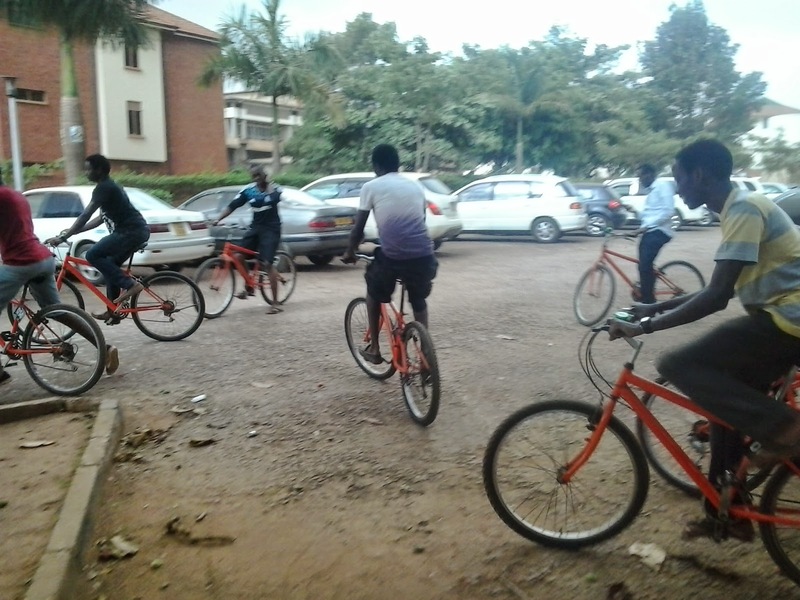 In this regard Teens Uganda under the membership of the http://ust-network.org/, is facilitating a pilot bike sharing scheme as a way of demonstrating the usage and convenience of the mode at Makerere University, the largest public institution of higher learning in Uganda.